Any Video Converter is an ultimate, easy to use MOD Video Converter software application which can convert MOD files recorded by most popular digital camcorders to AVI, MP4, WMV and other video formats including MPEG-1, MPEG-2, MPG, MKV, FLV, 3GP video and more with remarkable quality and incredibly high speed. In addition, The MOD Video Converter supports more other HD movie formats, including TOD, AVCHD, M2TS, MTS, M2T, TS, TP, TRP, and change them to the common video or audio files. With the MOD Video Converter, you can enjoy your favorite mod videos on many types of portable players, including the iPad, iPhone, iPod, Sansa, Sony Walkman, Creative Zen, Apple TV, Nokia, PSP, Zune, PS3, Pocket PC, Windows Mobiles, etc. This MOD converter also lets you edit MOD video, split one into multiple & join several MOD files into one, apply artistic effect, add external .srt subtitles, crop video, set more parameters if you like before converting. There is no doubt that the MOD file converter is the best one you are looking for. Just download the MOD Video Converter for free now, and put the .mod files recorded by HD camcorders like JVC, Panasonic, Canon on your PC, home DVD player, portable multimedia device, PDA or cell phone. You will have a wonderful MOD converting journey from now on! 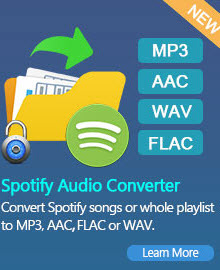 Convert MOD to almost all video formats, like WMV, AVI, MPEG-1, MPEG-2, MP4, MKV, 3GP, 3G2, FLV, SWF; convert MOD to popular audio formats including MP3, WMA, AAC, OGG, WAV, and M4A. Convert MOD files for iPad, iPod, iPhone, Apple TV, Zune, PSP, PS3, Pocket PC, Creative Zen, Archos, and other Video players and audio players. The MOD converters allow us to crop the video, trim the video, adjust the video Brightness, Contrast, Saturation to personalize your video with special effects, even check Deinterlacing to upgrade your video effect by converting interlaced video into a non-interlaced form, merge files into one, etc. Has a friendly interface which we can easily use with a few clicks. How to convert MOD to AVI? Anyone who has purchased a JVC Everio HDD video camera has probably learned that they chose to use some god forsaken proprietary video format – the .MOD extension. Apparently this is some sort of MPEG2 encoding, however, most media players and portable devices prefer not to accept this format. What we need is something more common such as AVI. MOD to AVI Converter can hlep you convert all your JVC mod files, Sony mod files, Cannon mod files and Panasonic mod files to AVI fast and precisely. Convert MOD video to AVI video which can be played back on your PC and recoginzed by portable media players such as Archos, Archos AV500, Archos AV700, Archos GMini402, iRiver PMP-100, Creative Zen Vision and various other mobile devices. How to convert MOD to WMV or WMV HD? I have some videos on my hard drive from a small video camera. They are in a MOD format. How can I change them to WMV to be played on my regular video player? Mod to WMV Converter is a easy-to-use software to help you convert Mod files to WMV, which can be enjoyed on Zune, Xbox360, Dell Player, BlackBerry, iRiver, Creative Zen, Gphone etc. with family member or friends around. MOD to WMV Converter has so many attracting functions like editing the brightness, contrast, saturation of the video and deinterlacing it. Meanwhile, you are even allowed to set your own encoding parameters including resolution, bit rate, frame rate, aspect ratio, to get the best video quality. You can also extract audio from mod video and snapshot desirable scenes which can be saved as *.png image format. How to convert MOD to MP4? 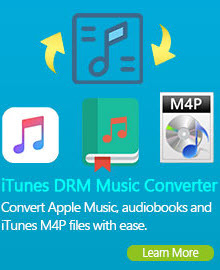 Any Video Converter is a useful MOD to MP4 Converter that can easily extract audio from mod video and convert mod files to popular mp4 files supported by various mp4 player and portable devices such as iPad, iPod, iPhone, PSP, Apple TV, Gphone, Blackberry, etc. This excellent mod conversion tool is not just a converter but also a video editing tool. You can easily set encoding parameters including resolution, encoder, frame rate, video bitrate and adjust video settings (Brightness, Contrast, Saturation, Deinterlacing) to get the best video quality. Even crop mod video to remove black bar or trim your mod video to cut the bad frames, embed external .srt format subtitles to mod file, as well as the function of merge several selected mod files into one. From now on, with the MOD converter, you can enjoy your mod video on many media player, even on portable devices! How to convert MOD to FLV? Would like to upload the mod video to YouTube and other video sharing sites for sharing with people online? You really need this MOD to FLV Converter to edit the mod file first to cut out the bad frames and convert the mod file to YouTube supported format. YouTube and a variety of other video sharing website usually accept video clip in flv, 3gp or mpeg-4 formats, and flv is the most popular one among them.Mod toYouTube converter can convert JVC mod file to YouTube flv, convert Panasonic mod file to YouTube flvand convert Canon mod file to YouTube flv. Mod to FLV Converter can also convert mod to avi, mpg, wmv for easily importing and editing with Window Movie maker, Sony Vegas or Final Cut. 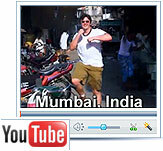 The MOD to FLV Converter supports batch convert Panasonic/Canon/JVC mod file to YouTube .flv, mpg, wmv, avi, or 3gp, etc. How to convert MOD to DVD? Any Video Converter is also a well-known MOD to DVD Video Converter. It is designed to convert MOD to DVD NTSC Movie (*.mpg) and DVD video PAL Movie (*.mpg). Apparently, MOD is some sort of MPEG-2 encoding; however, most major video editing suites prefer not to accept this format. Any clue on how to convert MOD files to DVD using Any Video Converter? Import all your MOD files into Any Video Converter, merge them all into one, choose NTSC or PAL profile according to your TV system, set frame size (NTSC:720x480, 704x480, 352x480, 352x240; PAL:720x576, 704x576, 352x576, 352x288) and aspect ratios (4:3, 16:9) according to the source MOD files and your TV aspect ratio. After conversion, use ImgBurn or other DVD burning or authoring tools to burn the MPEG-2 into a DVD disc. 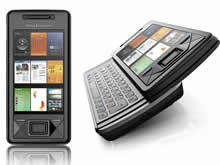 The .MOD file format is used by various digital camcorder models (I.E JVC Everio) to save their videos. These .MOD files are often accompanied with small .MOI files (See links below) which contain the videos' time-stamp information.